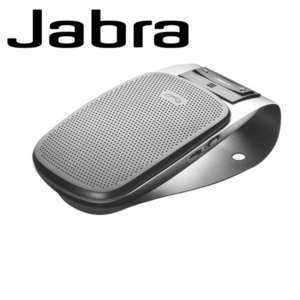 A simple yet powerful Bluetooth Car Kit from Jabra with voice guidance to keep your eyes on the road. Jabra DRIVE is brilliantly simple. No setup is required, and it’s so easy to operate, you probably won’t even have to look in the manual to find out how to use it. You pair it up with your mobile phone. After that, you just clip it onto your sun visor and it will connect automatically whenever you get into the car. You can then talk freely on your mobile, with your eyes on the road and your hands on the wheel. With the Jabra DRIVE, you don’t even need to bother reaching for your phone when it rings – just press the big friendly button on the in-car speakerphone to answer and enjoy crystal clear hands-free conversation!